Our systems comprise solar evacuated tubes mounted in parallel rows, a water storage tank, a frame and electronic controller unit. Evacuated tubes are extremely strong and very efficient. Their round shape means that the sun is always perpendicular to the surface of the tube, resulting in higher energy collection. 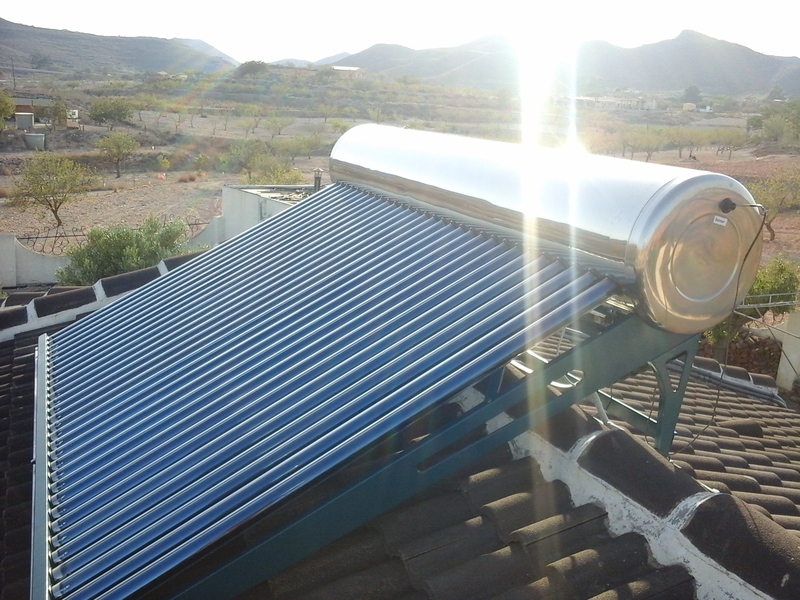 Evacuated tubes can be mounted on roofs without optimum orientation to the sun. This versatility means that you’re not limited to where you place the collector. The water storage tank has an inner tank which holds the stored water and an outer tank that encases the insulation layer. They are manufactured solely from food grade stainless steel that will not degrade. Also available are the popular STS range from Baxi. How do Non-Pressurised Solar Systems Work? With our non-pressurised systems, the hot water outlet of the tank should be high enough to ensure a good head of water. If this is not possible, we can install the system with a booster pump to deliver excellent water pressure. As water in the tubes gets warmer, it rises and mixes with colder water from the tank. This “thermo-siphon” effect heats all the water to a high temperature. How do Compact Pressurised Solar Systems Work? With compact pressurised systems, no water is introduced into the evacuated tubes. The fluid then condenses and returns to the bottom of the heat pipe where the cycle starts again. This process gives very rapid and efficient water heating. Water can be ‘hard’ and we have all seen deposits build up in kettles. Any form of water heating can cause these deposits which is why at Free-Sol we do our utmost to protect your system. For further information about how this can be achieved and to discuss any aspect of solar water heating further, please do not hesitate to contact us. Call us on +34 697949519 or Email info@solpellet.com for a no obligation chat to discuss your Solar Water Heating requirements.